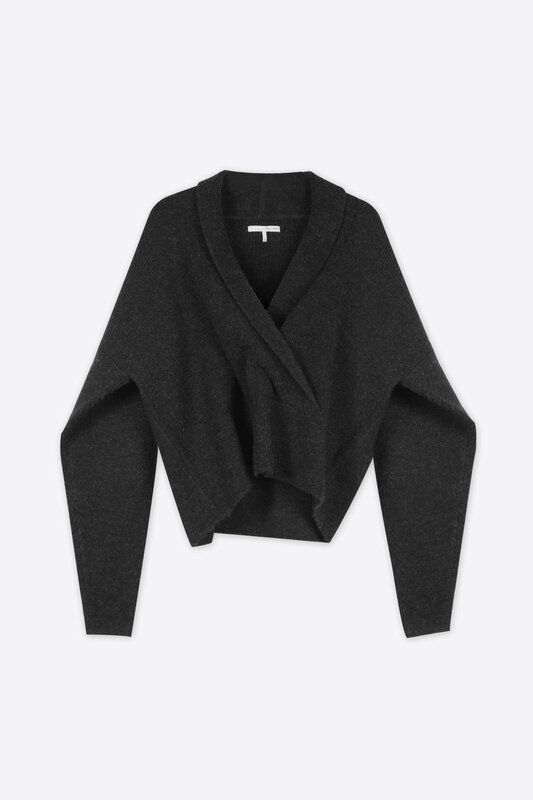 Get wrapped up in this shawl collar sweater knit a warm, thick blend of wool. 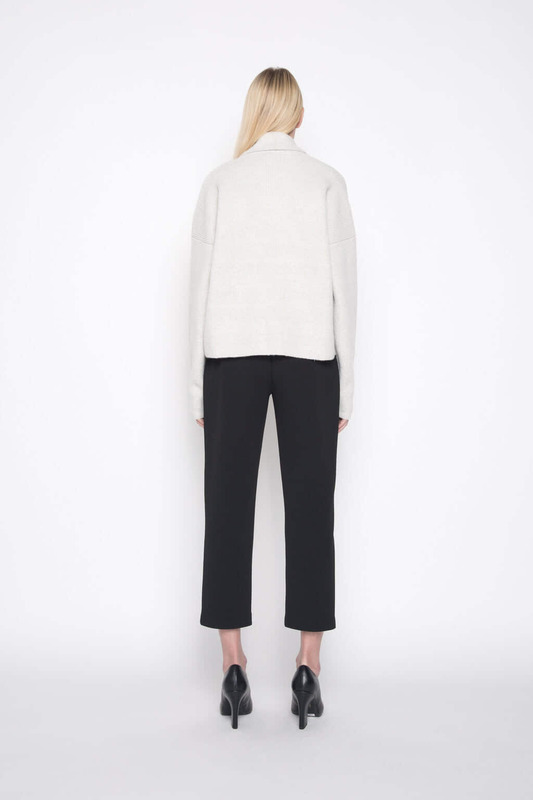 With a cropped hemline, dropped shoulders, and a unique front wrap-over design, try pairing this piece with high waisted trousers for a cohesive look. Fit: Relaxed Approximate Measurements: XS: 42" bust x 22" length S: 44" bust x 22.5" length M: 46" bust x 23" length L: 48" bust x 24" length Model wears a size small. Model's height is 5'9".